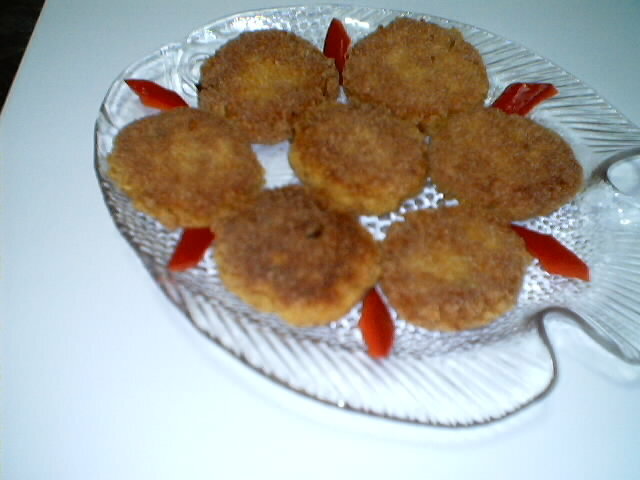 SPICY FISH CUTLETS | My Cooking Diaries "CooklikeCecilia.com"
Breadcrumbs or rawa for coating. Remove all bones and skin from the cooked fish and mix thoroughly with the mashed potatoes in a smooth paste adding butter, salt, chillies, chillie powder, ginger garlic paste and lemon juice. Divide the mixture into portions and shape them round and flatten a little. Dip these one by one in beaten egg and coat well with breadcrumbs or rawa. Heat oil in a frying pan and shallow fry the cutlets will golden brown on each side.